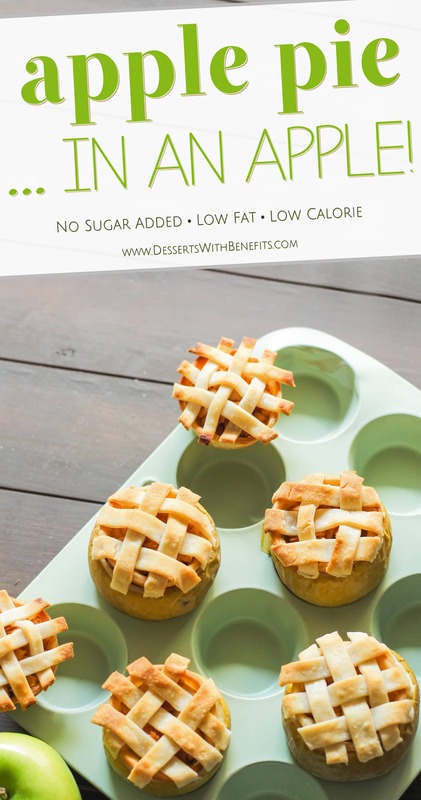 Guilt Free Apple Pie IN AN APPLE! You'll wow everyone with this recipe! 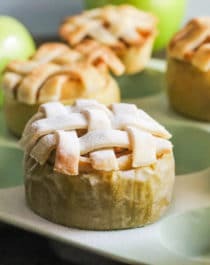 Looking for a unique Apple Pie recipe? 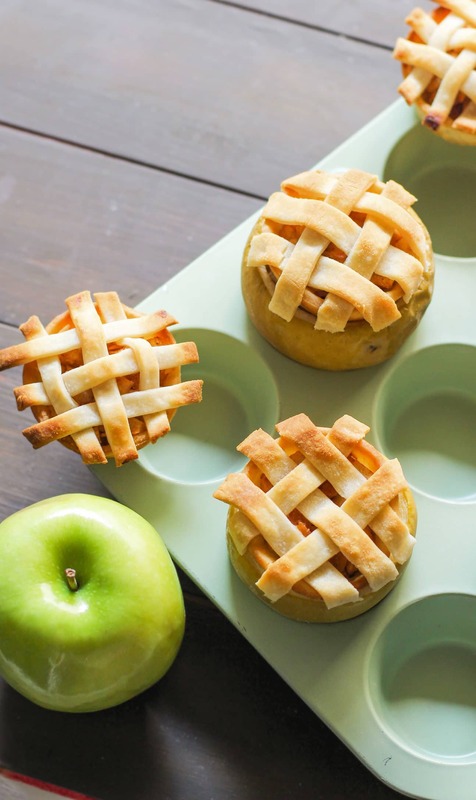 No need for fancy pie dishes or pie servers here… all you need are the apples themselves! 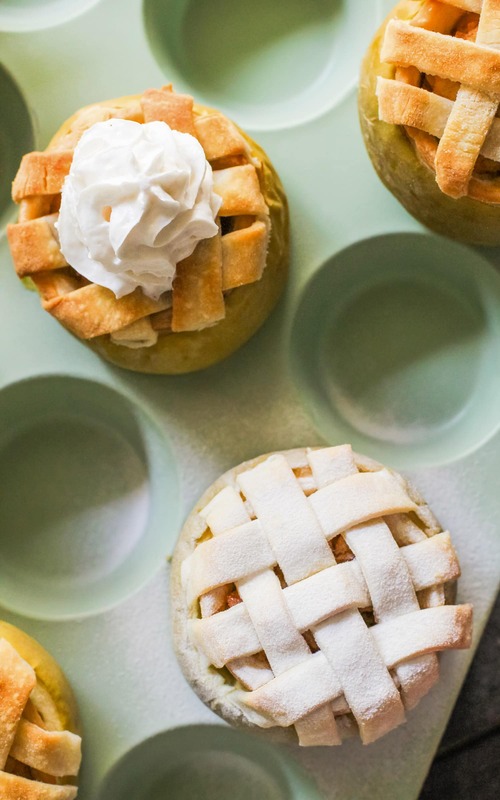 These delicious Apple Pies are served in the apple. They’re so adorable and creative, you have to make them for yourself! Who wouldn’t want apple pie served inside the apple it’s made from? How cool is that?! I think it’s about time that Apple Pie is made a lil’ better for you, yes? Let’s start with the crust. Instead of making pie crust with bleached flour and hydrogenated shortening, I used Immaculate Baking Co.’s Ready-to-Bake Rolled Pie Crust, which is made with unbleached, unbromated wheat flour. Instead of sweetening the filling with white sugar or brown sugar, I used stevia extract. Everyone who tried these pies had no idea they were made without any added sugar. These little cutie pies were delicious and devoured immediately! 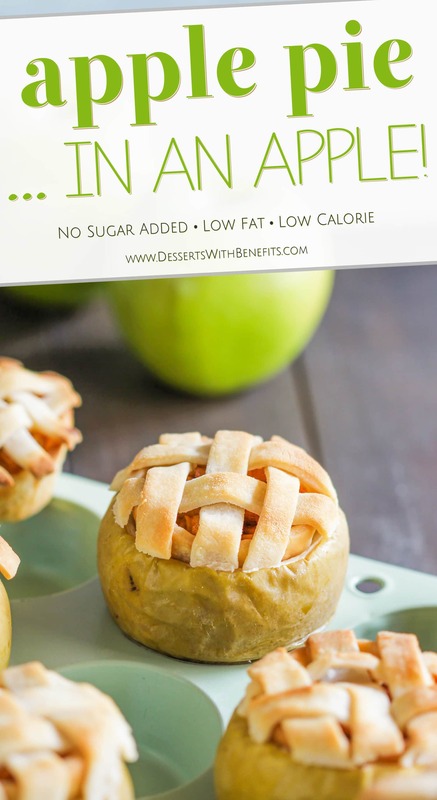 Guilt Free Apple Pie... in an Apple! Looking for a unique healthy apple pie recipe? No need for fancy pie dishes here, all you need are the apples themselves! 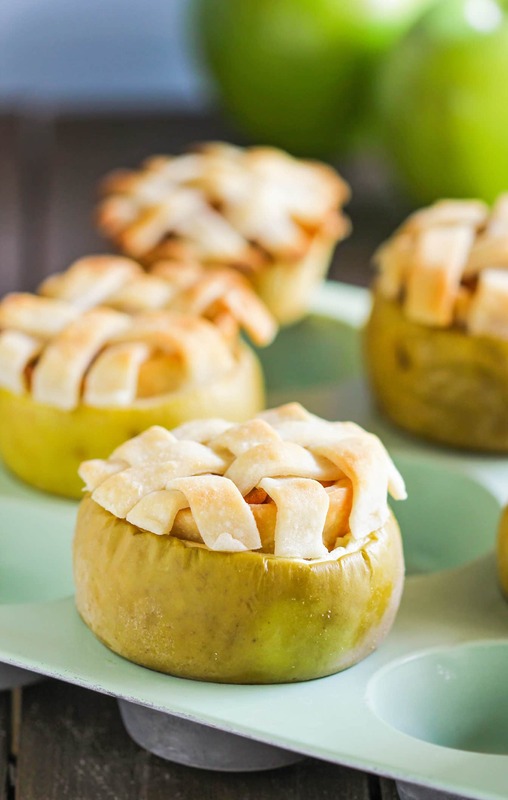 These Healthy Apple Pies are served IN THE APPLE! They’re so adorable and creative, you’ll be sure to WOW everyone you serve these to. And the kicker? They’re low fat and vegan with no sugar added! Unroll the pie crusts onto your counter. Using a 4" circle cookie cutter, punch circles out of one pie crust. With the other pie crust, slice 4x¼" strips using a sharp knife. You'll need about 5 strips per apple, so make at least 35 of these strips. Hollow the remaining apple flesh with a grapefruit spoon (leaving about ½" of apple flesh around the skin). Brush the hollowed apples with the lemon juice. 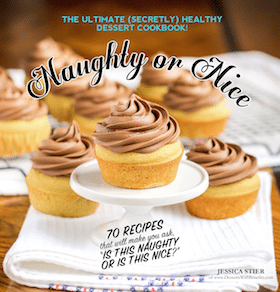 Serve with Vanilla Bean Ice Cream, Caramel Sauce, natural whipped cream, a dusting of powdered erythritol (or powdered sugar), or totally on its own. This will be great no matter how you serve it. 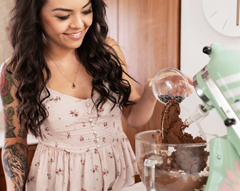 This 100% guilt-free recipe is incredibly unique — a definite show-stopper and crowd-pleaser! So cute, and it looks amazing 🙂 Great for Spring! Love, love, love this blog! I’m MAKING thise today! Anyone who thinks microwaving food is a healthful idea has lost my attention. Adrien are you truly that worried about melting organic shoting for what a minutte? Selina- Wow, I never thought about that! I’m sure baking the apple would make this recipe sooo much more like apple pie. I should try that soon, maybe I’ll wrap the apples in foil kind of like baked apples and bake it at 350 for 20-30 minutes, or until they’re soft, take them out of the oven and then bake the crusts, then assemble them once they’ve cooled a bit… I think the moisture from the apples would prevent the crust from baking. Sorry for rambling, I’m just thinking out loud. Such a good idea!! Oh, and do you have any of the nutritional facts on this one? What would you think of adding some protein powder to the crust? 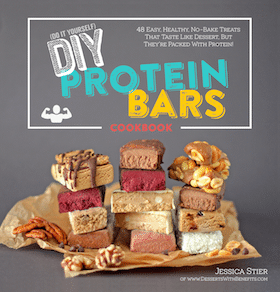 (to boost protein macro) Maybe substituting the protein powder with the brown rice flour???? I think the protein powder crust is a really good idea. I would use SunWarrior brown rice protein powder because it acts somewhat like flour. I hope you like the recipe! I am DEFINITELY making these this Thanksgiving! Thanks Jessica! Thankyou. Absolutely delicious. I made this for one of my home economics classes. Truly fantastic!!! I love it when people get creative with cooking!! These look amazing, and the photos just make me crave for those sweet apples, YUM! I’m LOVING this idea! The perfect healthy fall treat! This looks amazing! What an ingenious idea. Is one apple enough to fill 7 little pies? not too doughy? Thank you, I plan to do this for book club. Jason and I were looking for fancy hand pies for an event we are doing and in the image search these pulled up. I went “these are so cute! I’ll link you to them!” So excited to see they’re yours. Beautiful and scrumptious looking job. we’re going to a party. can any of this be made ahead of time? Have a super fun (and tasty) party! !